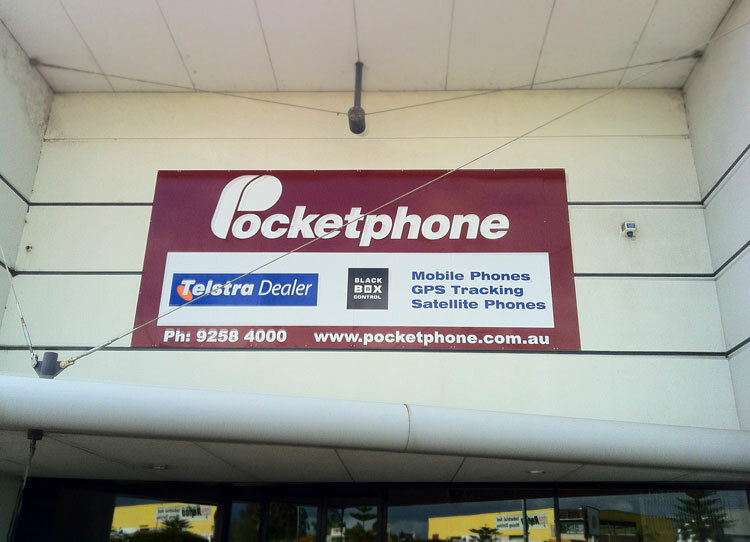 A metal sign installed in Kewdale was required by Pocketphone, and Perth Graphics Centre was contacted to implement the branding. Seen above is the sign we manufactured and installed, and being 5.5m wide and 2m tall, it was made out of aluminium composite panel. The effect is brilliant, with the burgundy bordering the logo and information, and our team of professional installers was able to get it on the building in no time at all. If you’re after a metal sign, or you need signage of any kind at all, call Perth Graphics Centre today for a quote. 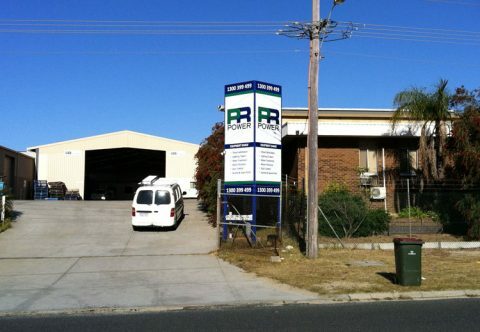 If you need building signs, then there’s only one place to head – Perth Graphics Centre. 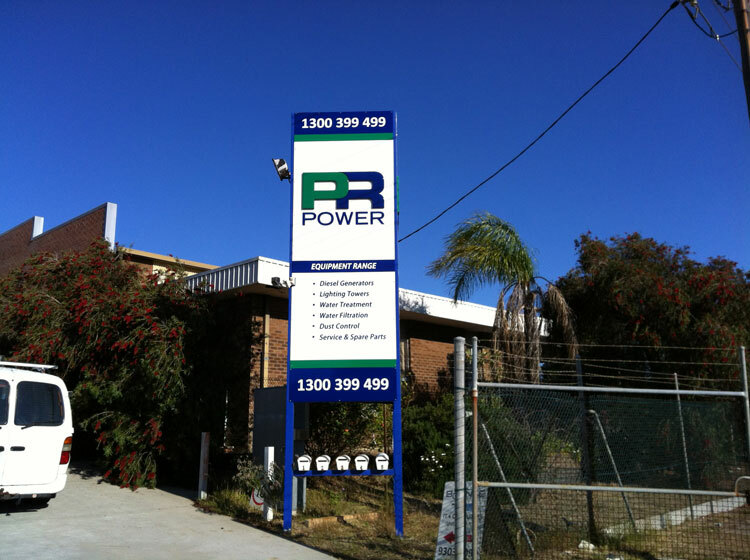 We supply and install large signs like this pylon sign for PR Power. The large PR logo is done using 3D routed MDF and then two-pack painted to ensure they last for years outside. The rest of the sign uses cast vinyl, again to give maximum longevity. If it’s building signs or street-front signage you’re after, then head to our contact page for a quote. We look forward to hearing from you.